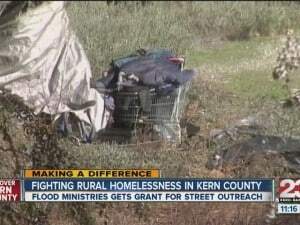 While about 7 percent of homeless Americans live in rural areas, those official numbers come from homeless counts of people living on the street and in shelters, not those staying with friends or in cheap hotels on cold nights in January, the month when yearly counts take place. Add to that families living in tent-cities in the middle of wooded land, or on the edge of a corn field and you’re talking about a higher percentage than 7%. Identifying the rural homeless presents multiple challenges however, especially when mandated government strategies get in the way. Most rural counties in America (like mine) do not have functioning homeless shelters. HUD, of all agencies, should know this. The model for the count is based on urban homelessness, during the time of year when the most people seek shelter because of the cold. In major cities with ample shelter, this may seem like a great model, but surely not in rural settings without shelters! For rural counties, the premise is wrong from the start, and is a fine example of how one-size-fits-all initiatives created by urban bureaucrats often fall flat in rural and small town contexts. A report came out for Middlesex County, VA (where I live) in 2014, identifying 5 homeless people in the area… in January. In my view this is an insufficient strategy for identifying (and ultimately providing assistance to) the rural homeless. During the cold months, because of lack of shelter, most homeless people and families migrate to cities where they can more receive human and social services. My friends who did the counting are not to blame, because they were simply complying with a government mandated initiative. 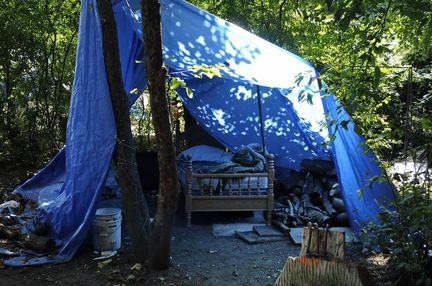 A conversation has started among a few county churches and agencies about how to better serve the homeless population in our area, and we’ve already identified three tent cities in wooded areas where homeless people camp. One is behind a local grocery store, one is in proximity to a roadside vegetable stand, and another along wooded edge in a cornfield near a church. The population at these locations surely rises when weather is fair, and if I had to bet, the population is likely its largest in July, not January. State and Federal funding for addressing homelessness is based on HUD’s annual “Point in Time Count,” when many rural homeless have fled to urban shelters. This means not only are the rural numbers skewed, but the urban ones also. Ultimately, more money goes towards addressing urban homelessness instead of rural homelessness, and part of the reason is that the annual count is done when urban numbers swell and rural numbers deflate. I’m actually interested in speaking with local county officials and even my state representatives about how to correct this flaw in the counting system. Until then, I’m curious about how rural churches can partner together to address homelessness and subsistence-living in our midst. One great model is Caritas Ministries in Richmond (an hour east), and another is the G.U.E.S.T. program in Gloucester (about 30 miles south). Each program successfully reaches homeless individuals through faith-based partnerships, and may serve as a model for congregations in Middlesex. I’m interested to hear from you! How have you tackled the challenges of serving the rural homeless in your county? Are there other resources worth exploring? Has anyone explored grant funding? Can’t wait to hear from you!